What's Beyond Forks? : Promo!! 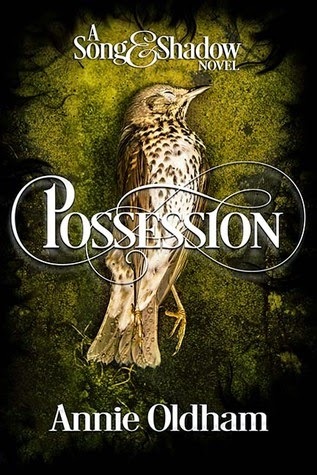 Possession by Annie Oldham + Guest Post! Promo!! Possession by Annie Oldham + Guest Post! Constance Jerome wants nothing more than to make it through her senior year of high school without being noticed. But when her mother drops the world's biggest bombshell, flying under the radar just isn't in the cards. It turns out Constance is a necromancer—one of the few who can travel the realms of the dead. Apparently it runs in the family. And now there's a threat coming: another necromancer with plans to disturb the living and the dead, and Constance and her mother are the only ones who can stop him. If only they knew who he was. Or what exactly he was up to. A quiet senior year isn't an option, and Constance must race to stop a high school apocalypse before the balance between the living and the dead is overturned. I love books that contain a layer of magic or fantasy right alongside the real world. That's part of why I wrote Possession. Books like Harry Potter, The Daughter of Smoke and Bone, and The Bartimaeus Trilogy really grab me because there's the intrigue of seeing something completely fantastical thrown right alongside the mundane. One of the most interesting parts of writing a novel like this is creating the mythology. The mythology is the history of the fantasy elements, why magic works the way it does, and what the rules are that govern the mystical parts of the book. In this case, what is the history of the practice of necromancy? What rules do they need to follow? What happens when those rules are broken? And while I dug into the history of actual necromancy (you know, as far as there is “actual” necromancy—the practice of communicating with the dead), it was also fun to broaden the definition (in this series, necromancers communicate with but also travel to the spirits of the dead) and create my own elements and history. In this case, necromancy is passed along the family line, and not just anyone can be a necromancer. You have to be able to travel the realms of the dead. Some of these rules I've created are the crux of the conflict in the story, and it's the characters that are ambivalent toward the rules that cause the chaos that ensues. And then comes the fun part of lining necromancy up right next to the everyday life of a high school senior. Constance is a wallflower, a loner, and has one friend. She'd like nothing more than to graduate and then whisk herself off to college far, far away. But then she discovers that she's a necromancer, and that magic lies right alongside the life she's been living. And the world as she knew it is turned on its head. And real life is like that, isn't it? Not necessarily with magic magic, but don't we all experience shifts of perspective that completely change the way we see the world? That's why books with fantasy—even though they break the rules of our world—speak to us. Check out my reviews of The Burn, Infraction, & The Reaping! !Plus, and interview with Annie Oldham! Also, don't miss my review of Bound! Annie Oldham grew up with an insatiable desire to read and came away with the insatiable desire to write. Away from her writing, she's the mother of the three most adorable girls in the world, has the best husband in the world, and lives in the hottest place in the world (not really, but Phoenix sure feels like it). 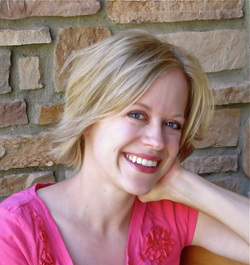 To read more about the author and her books, visit Annie Oldham's website. You can also find her on Facebook and Twitter.